The YWCA Westmoreland County Annual Sportswomen of the Year Awards Banquet recognizes the outstanding achievements of our Westmoreland County female athletes. Our keynote speaker will be Megan Bratkovich, Director of Athletics at Penn State New Kensington with emcee Karen Struble Myers, Associate Director and Director of Development at the Fred Rogers Center at Saint Vincent College. In addition to the keynote, the event also features a 3-course meal, presentation of the awards ceremony, and inspirational stories of women & girls that defeated all obstacles to achieve success. 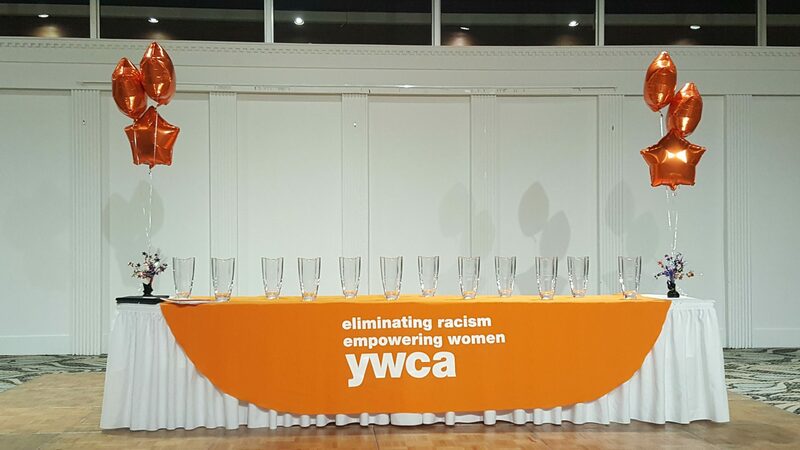 This unforgettable event helps to support YWCA Westmoreland County and our mission to eliminate racism, empower women and promote peace, justice, freedom, & dignity for all. OUR 2019 YWCA SPORTSWOMEN OF THE YEAR AWARD WINNERS!! !